Rachel Dal Santo has worked and enjoyed her passion for Makeup Artistry since 1981. An early interest in theatre lead to an opportunity to train with Dawn Swane from the 3 Arts Makeup Centre. After completing her studies, Rachel joined the makeup department of Channel 7. The 1980’s were a great time to be in television, with many productions being produced! Highlights during this time include working on “A Country Practice”, “Home and Away”, various game and sporting shows as well as news and current affairs. A promotion to Head of the Makeup Department in 1991, gave Rachel the opportunity to supervise over 20 staff. Rachel enjoyed the challenge of coordinating the studio makeup and hair styling requirements until 2001. Another career highlight came when Rachel oversaw the makeup requirements for the network’s coverage of the Sydney 2000 Olympic Games. A new chapter as a freelance makeup artist followed with opportunities to work as one of a large team on such films as “The Matrix” and “Mao’s Last Dancer”. Further opportunities in television were also enjoyed working on “Crime Scene Investigations” and various television commercials. Throughout her career, Rachel also operated a successful wedding makeup business. Ensuring customer satisfaction is always a priority for Rachel, and receiving repeat business from happy clients is something Rachel finds rewarding. A return to theatre has given Rachel an opportunity to enjoy her “first love” while working with young actors and opera singers as guest lecturer at NIDA (National Institute of Dramatic Art) and the Conservatorium of Music. Most recently, Rachel has focused on teaching her craft at various makeup colleges. Nurturing the talents and young careers of the next generation of makeup artists allows Rachel an opportunity to pass on her knowledge and passion for her craft. 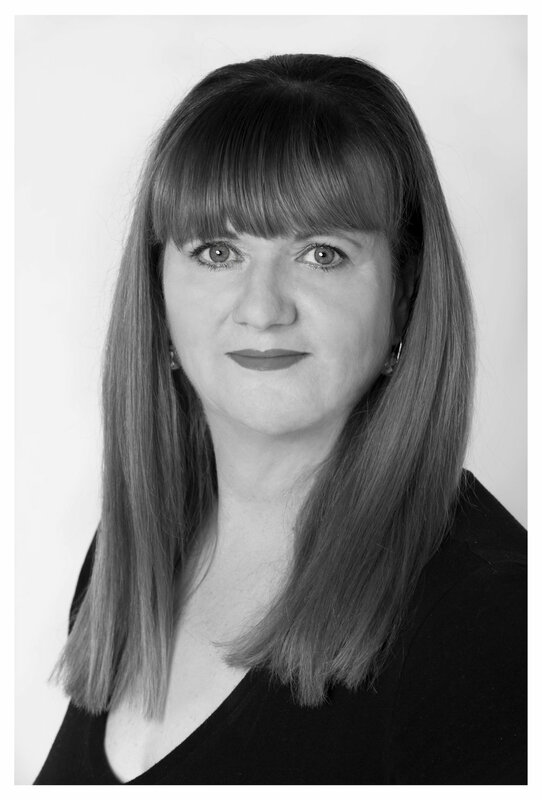 Becoming the Author of the Diploma of Makeup Artistry for the Institute of Makeup Artistry now gives Rachel the opportunity to share her knowledge with an international audience. Many years of face to face teaching has allowed Rachel to determine the most relevant and important skills and knowledge for the new makeup student. Current products and techniques are the focus of the course, ensuring that every module delivers all the skills and knowledge necessary to enter the various facets of the industry. If you have a passion for Makeup Artistry, visit The Institute of Makeup Artistry today to learn how you can turn your passion into an exciting new hobby or career! Pictured is Rachel's early work. Click to enlarge. 1985 | Rachel working on set for "Sons & Daughters"
1986 | Rachel working on Simone Buchanan for "Hey Dad"